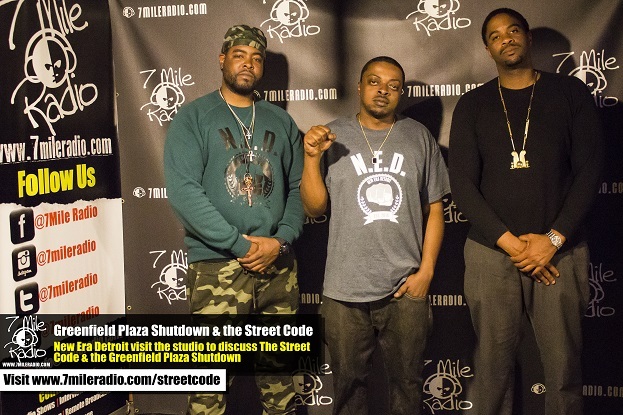 Founders of New Era Detroit, Zeek & Negus Vu visit our studio to give their side of the story in the Greenfield Plaza incident,as well as a breakdown of the street code and what they have to say to critics who disagree with N.E.D. and the Street Code. In part 2 of Marc D’s conversation with New Era Detroit in regards to the Greenfield Plaza Shutdown, A owner who’s business resides inside the plaza join the conversation. She shares her reasons for deciding to move out of the plaza after seeing the racist remarks made by the plaza owner. Check out the 2 part spotlight below.